Our brand, The Joinery is focused on finding sustainable solutions to environmental and community issues through design and product development. We create local sustainable products made from recycled plastic bottles, hemp and responsible fabrics for large corporate clients, retailers, boutique outlets, the tourism industry, lodges, winery’s, recyclers and community programs to name a few of the industries we work with who are contributing to make a truly positive impact in South Africa. The Joinery has conceptualised trail blazing fabrics made from recycled plastic bottles, saving bottles from landfill and turning them into beautiful products and gifts you can feel proud to pass on to clients, sell in your retail outlet, showcase at events or purchase on a personal capacity for yourself or co-workers and friends. All our products are made by local artisans and sewing co-operatives based in and around informal settlements in Cape Town, South Africa creating employment and contributing to the textile economy. From concept to design, we offer a bespoke service for our clients. 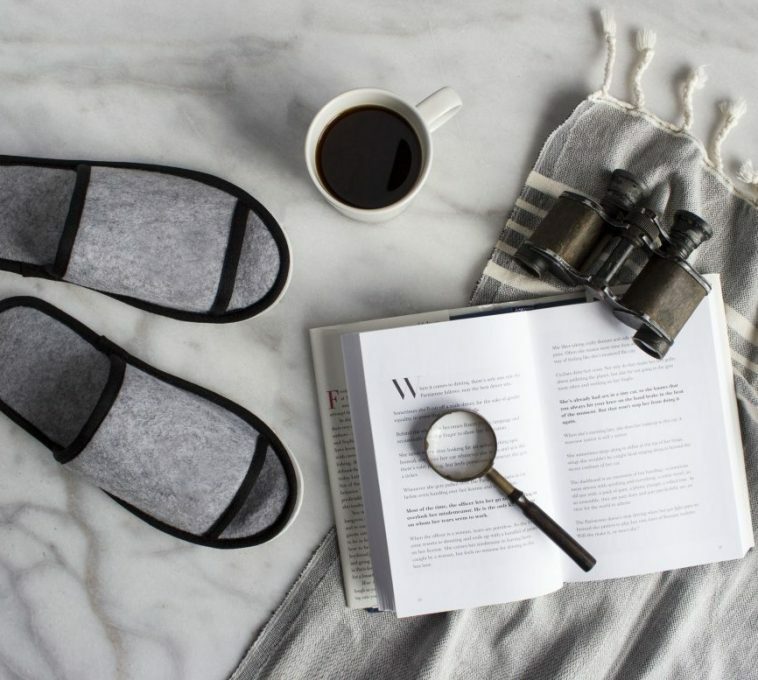 We offer eco, organic and responsible fabrics and materials that are kind to the environment, have a high design element and that clients will keep for years to come, changing the mind-set of throwaway gifting and stationery culture. We design and conceptualise ground breaking sustainable fabrics and products to create products for events, clients, VIP’s etc.. Plastic bottles are not trash. Plastic into products. A range of tech accessories including laptop bags, iPad covers and tote bags that fit universal laptops. 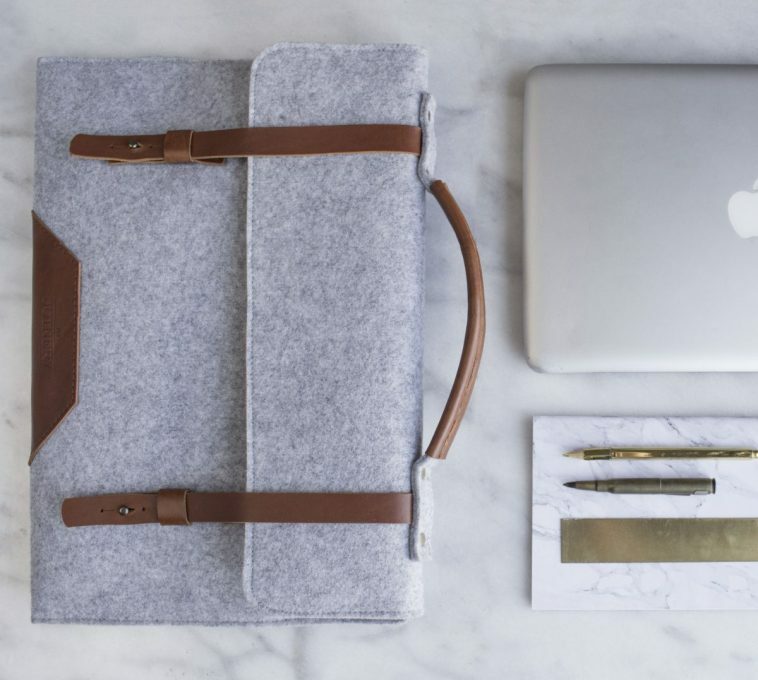 The ‘My Office’ range of felt laptop bags is made from recycled plastic bottles, handmade in South Africa by local artisans. Contact us for a full catalogue, corporate wholesale, and retail price lists and quotes. A range of tech accessories including laptop sleeves, iPad covers and tote bags that fit universal laptops. The ‘My Office’ range of felt bags is made from from recycled plastic bottles. Contact us for a full catalogue, corporate wholesale, and retail price lists and quotes. Corporate and promotional gifting apparel made from recycled plastic bottle felt. Caps, hats, luxury slippers, T-shirts and more. Contact us for a full catalogue, corporate wholesale, and retail price lists and quotes. 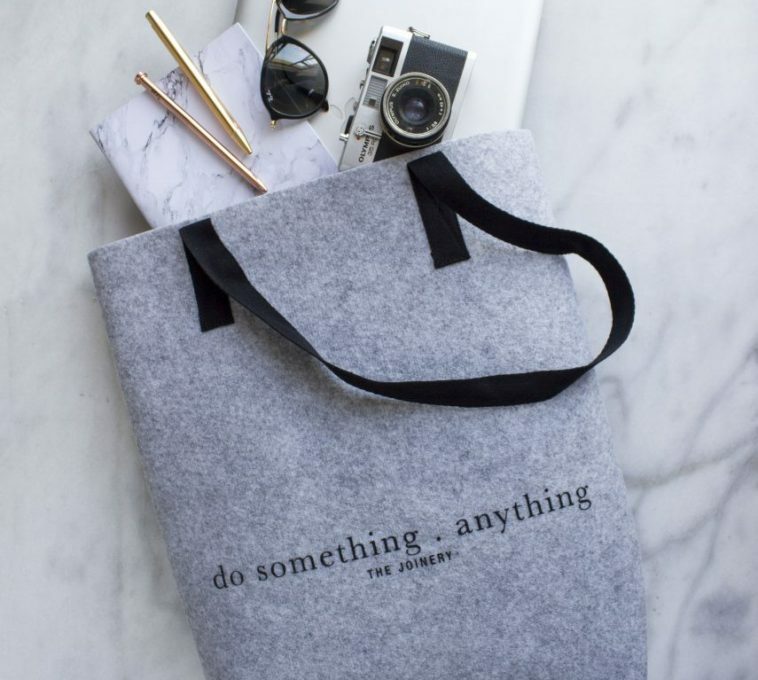 Customisable shopper/tote bags made from recycled plastic bottle felt or hemp. Bespoke printing available. Perfect for conferences, events, boutiques, corporate gifts or personal use. Contact us for a full catalogue, corporate wholesale, and retail price lists and quotes. Small accessories made from recycled plastic bottle felt fabric, hemp, leather and canvas. 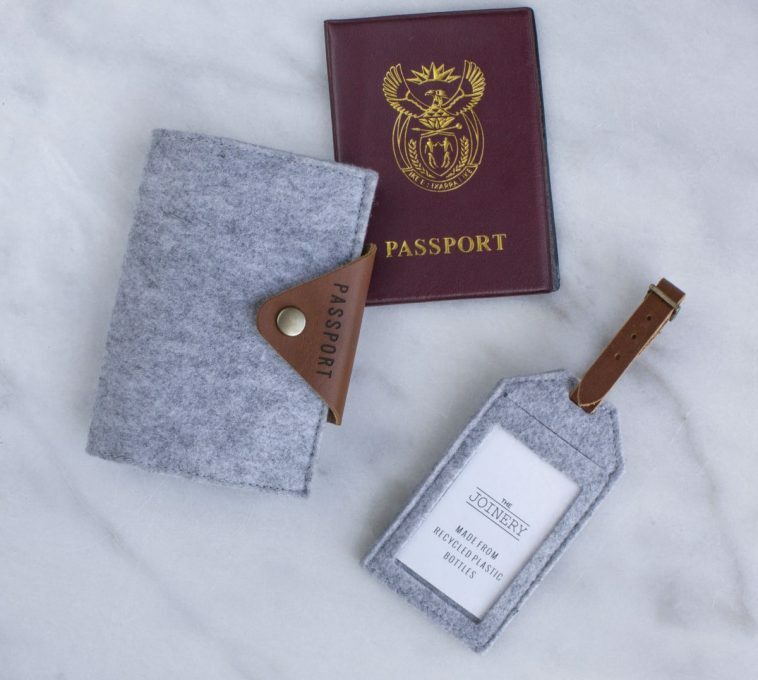 Luggage tags, Access card holders, Business card holders, Sunglass holders, Water bottle holders and more… Contact us for a full catalogue, corporate wholesale, and retail price lists and quotes. 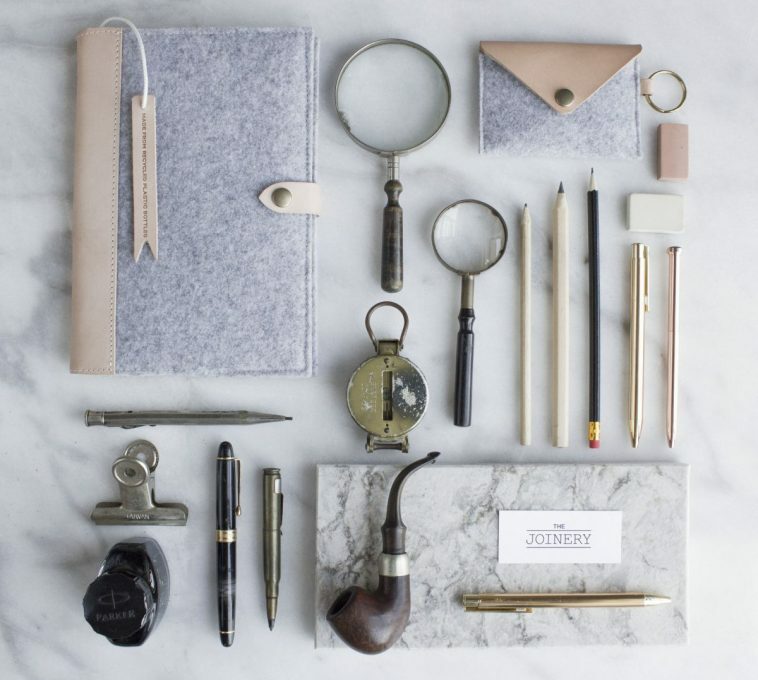 Bespoke stationery and office products by The Joinery. 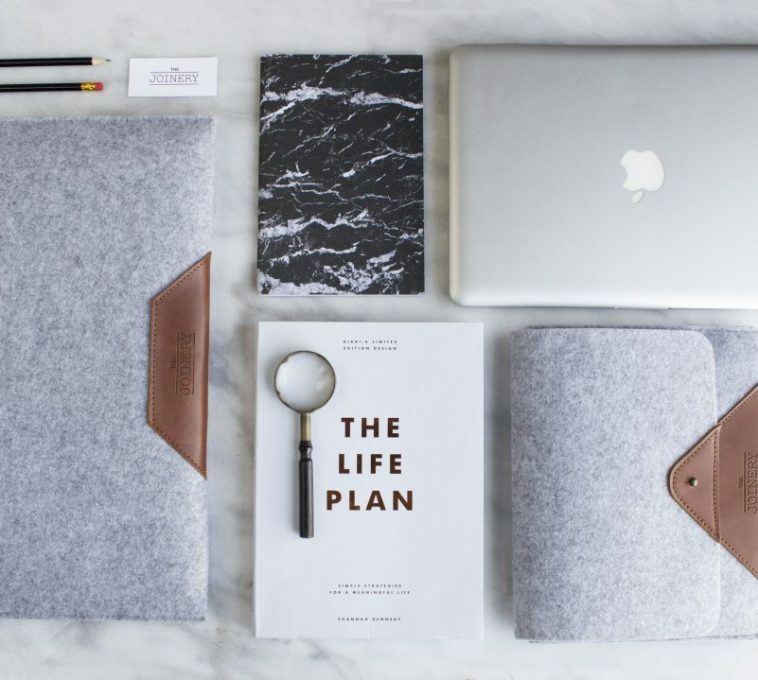 Notebooks, planners, dust covers and more. Made from recycled plastic bottle felt, leather trims and or responsible fabrics. Hand crafted by local artisans in South Africa. Contact us for a full catalogue, corporate wholesale, and retail price lists and quotes.